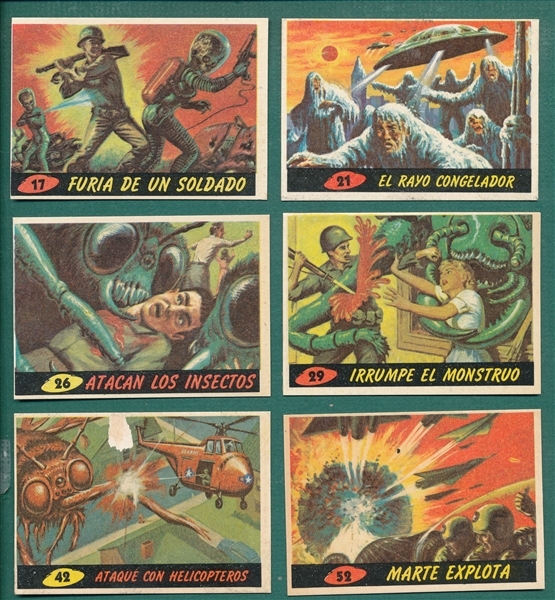 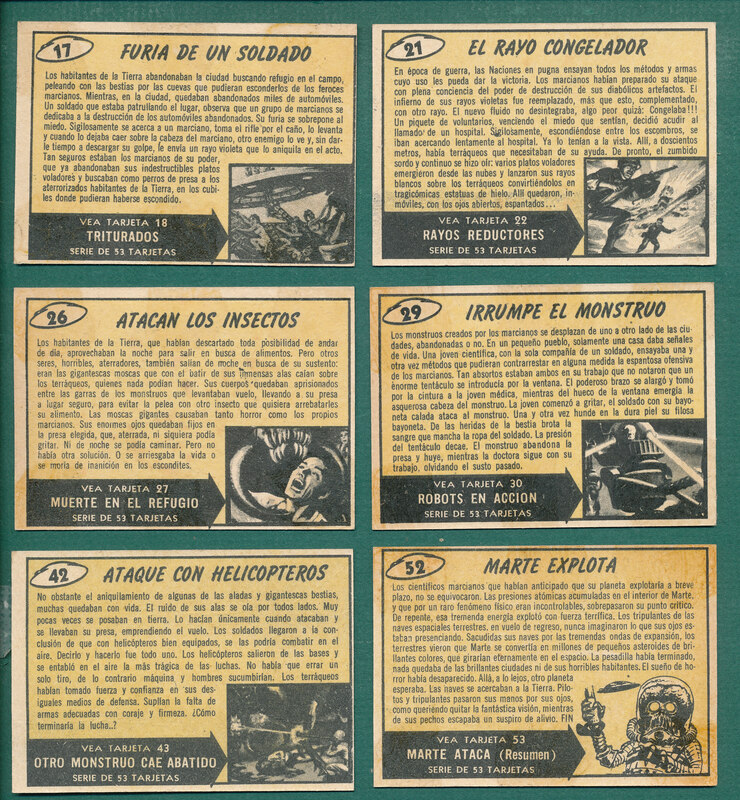 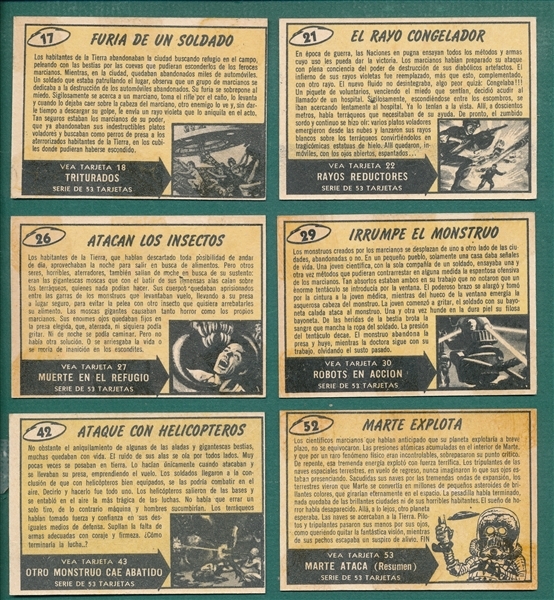 Ten card lot from the scarce Argentina Mars Attacks cards includes 3 (number written on front), 7, 17 (2), 23, 26, 29, 42 and 52. 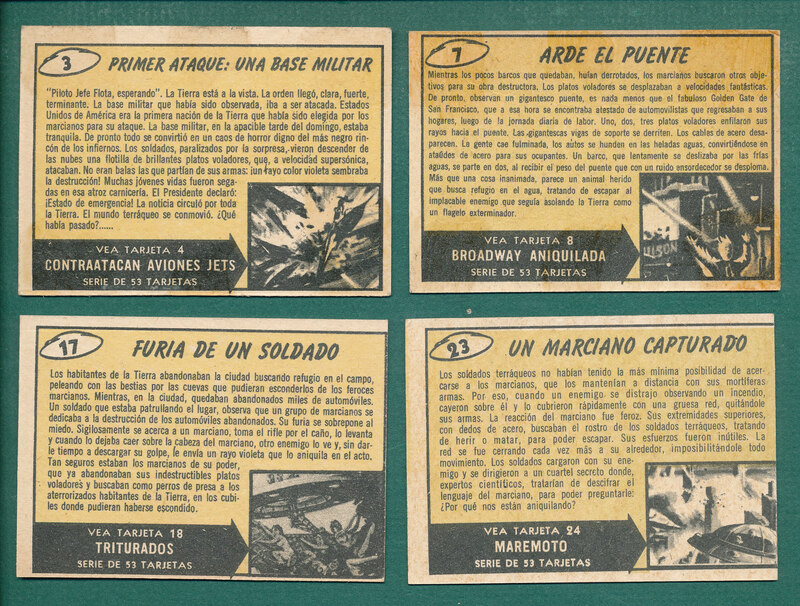 All but one #17 and #23 have evidence of album removal and all but #3 appear to be trimmed. 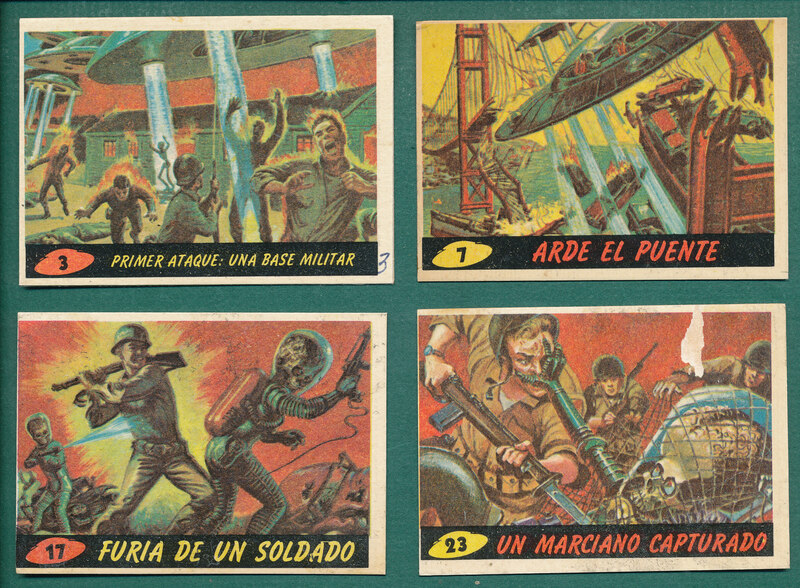 The cards are crease free and present very well.